You may have seen video of Earth shot from space before, but nothing quite like this. A company called UrtheCast has released the first full-color HD videos of Earth, taken from the International Space Station. London, Barcelona and Boston are the subjects of the 37- to 47-sconed long clips, and the detail is so crisp, you can see individual cars and boats traveling through the frames. Filmed using UrtheCast's Iris camera mounted to the outside of the ISS, the videos aren't just beautiful snippets of the Earth's surface. 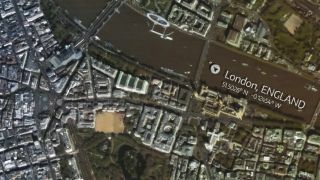 They also highlight landmarks like the London Eye and Port of Barcelona, providing a (space) eagle-eye view of some of the world's most beautiful cities. The videos were shot with a resolution of about 1 meter and span over areas up to 1.19 x 0.67 miles (1.92 x 1.08 km). They were released as UrtheCast prepares to launch live 4K streams from Iris starting this summer.